Delhi Dynamos FC has retained their last season captain Hans Mulder for the second season of Hero Indian Super League. Mulder's aggressive and tireless attitude clubbed with scoring crucial goals made him one of the most consistent players of Dynamos last season. With this signing, Mulder will yet again bring his experience to the club. The Dutch-Spanish footballer came through the ranks of Real Zaragosa before joining the RKC Waalwijk under-19 team. He made his professional debut in the 2006-07 season and represented the club till 2011. The defensive central midfielder has made more than 100 appearances for RKC Waalwijk from 2006-2011 and has earned promotion to Eredivisie 3 times for RKC Waalwijk and Willem II. The 28 year old is at the peak of his football career and will have plenty to offer to the team. The tenacious midfielder can play across all positions in central midfield. His versatality offers a lot of flexibility to the team. 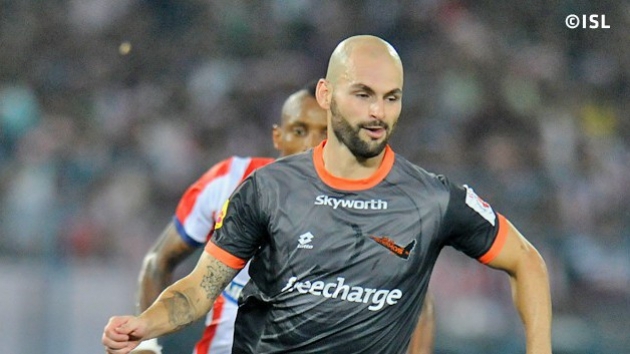 Hans will join former teammate Gustavo Marmentini dos Santos amongst other like minded Indian players in Sehnaj Singh, Francis Fernandes and Souvik Chakrabarti.